How do I know if my chickens are laying fertile eggs? Chicken owners of newly laying hens often find themselves asking, "How do I know if my chickens are laying fertile eggs?" Whether you want your chickens to raise a brood or to incubate your own, or, if you simply just want to know, use the information and images below to answer your question of chicken egg fertility. Do I need a Rooster? If so, how old does he need to be? There are a couple of great reasons to have a rooster! Let's clear up a few questions first. 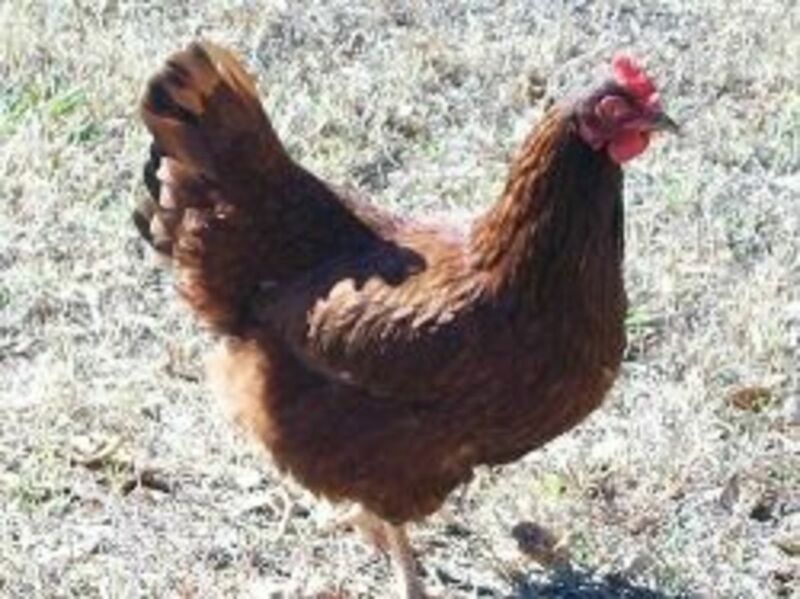 Chickens, 20 weeks of age and older, will lay eggs without a rooster. A rooster is only needed when you want fertile eggs. However, a rooster will also crow when protecting his hens, so he makes a great watchdog (and alarm clock) for you and your Chickens. Fertilized eggs are edible; and many people say they actually taste much better, than infertile eggs. 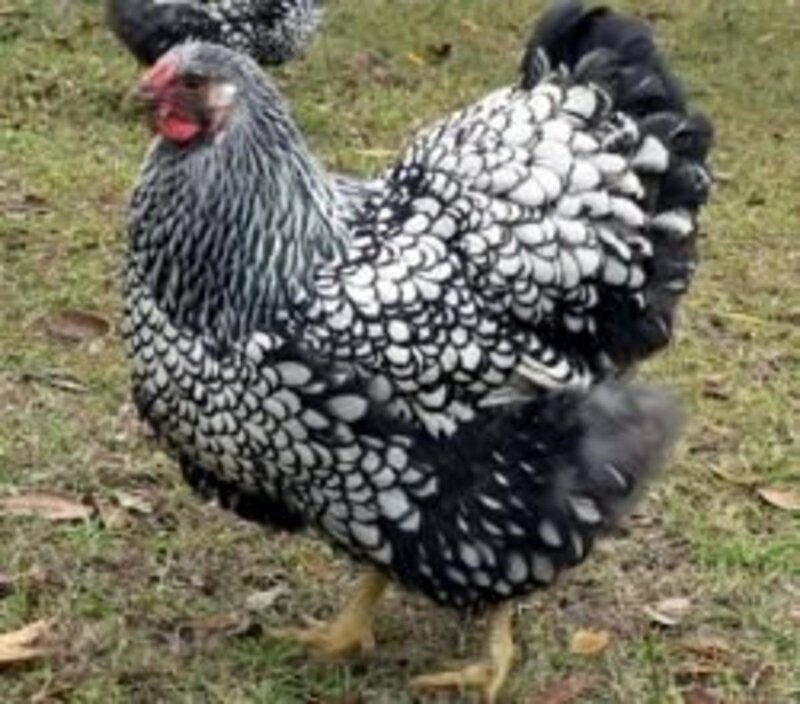 Therefore, for fertile eggs, the first thing you will need is a rooster older than 5 months (about 20 weeks), as this is when they begin to become ready to fertilize a hen. Fertilizing leaves the hen with enough sperm to fertilize each egg she lays for a week or so. You only need one rooster; more than one becomes a daily dominance battle of age-old cockfighting. You need an egg laying hen, or hens. Hens are ready to lay eggs usually between 4 or 5 months old (about 20 weeks old, or sometimes a bit sooner), however, weather also has a good deal to do with laying times. If temperatures are below freezing, or well above 90 degrees Fahrenheit, your chicken(s) may not lay, of course there are always exceptions to your chickens' rules. 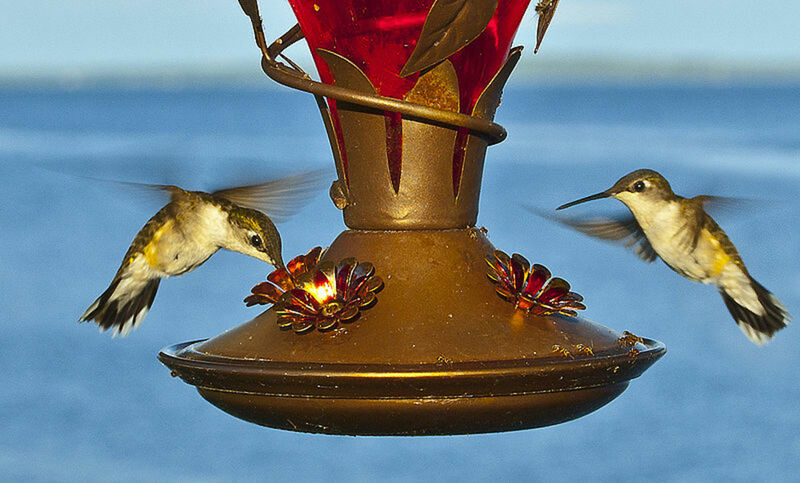 Do I need to build a Nester? When your chickens first began to lay eggs you may find the eggs just about anywhere; including the middle of the pen. However, you can prepare for this, in advance, by building (or purchasing) a good laying box. Fill it with straw and refresh it at least once every two weeks; as hens sometimes soil the nest when they are laying. If an egg becomes broken, remove it, and replace the straw. 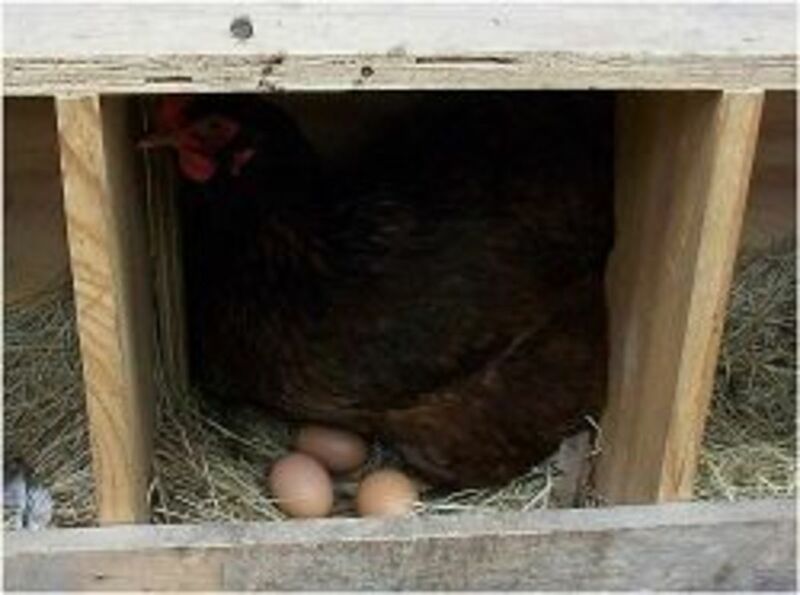 Having a laying box, ensures that your chickens will lay in the same place and that you are gathering fresh eggs. 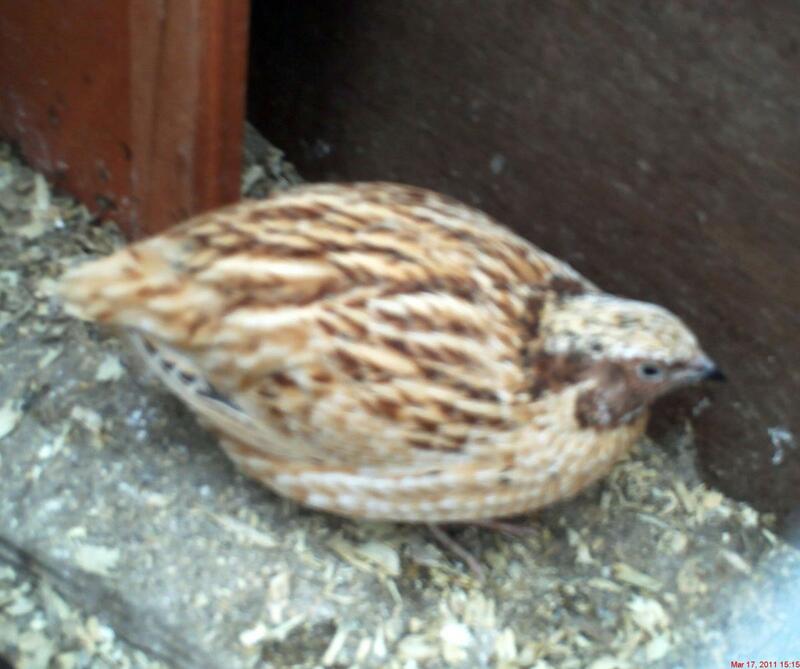 If you do not have a nester, eggs maybe difficult to find and you will not know exactly when the egg was laid. Is it Fertile or Infertile? To check the fertility of an chicken egg, simply break an egg or egg(s) in a smooth bowl. You should see a white mark on the yolk. If you do not, use a spoon to flip the yolk over until you locate it. If the egg is fertile, the white mark will be nearly perfectly round and in the center it will be yellow; it will resemble a donut. If it is infertile, the white mark will not be very round, and in most cases, smaller than that of the fertile mark. 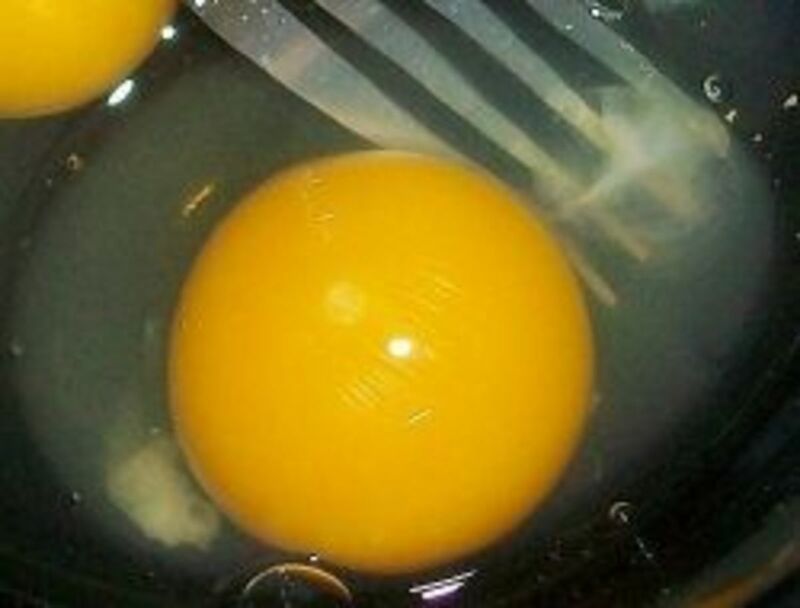 If the egg is not fertile, the 'white mark' is called a "blastodisc". If the egg is fertile, the 'white mark' it is called a "blastoderm", and this means that cell division,because of fertilization, occurred. Select below the type of eggs you buy. Do you prefer store bought eggs or farm 'fresh' eggs? I prefer store bought eggs; that way I know that they aren't fertile! How gross to eat fertile eggs! I prefer eggs labeled "farm fresh eggs", purchased at the grocery store. I prefer to buy farm fresh eggs from the grocery store, labeled 'organic' that way I know no chemicals weren't injected into the chickens! I prefer to buy my farm fresh eggs straight from the farm or farm market, becuase I don't trust labels on grocery store eggs! I want to be sure my eggs are really 'organic'! I have no preference; either way tastes good to me! I hate all eggs and don't buy them! 'Make your own' baby chicks! 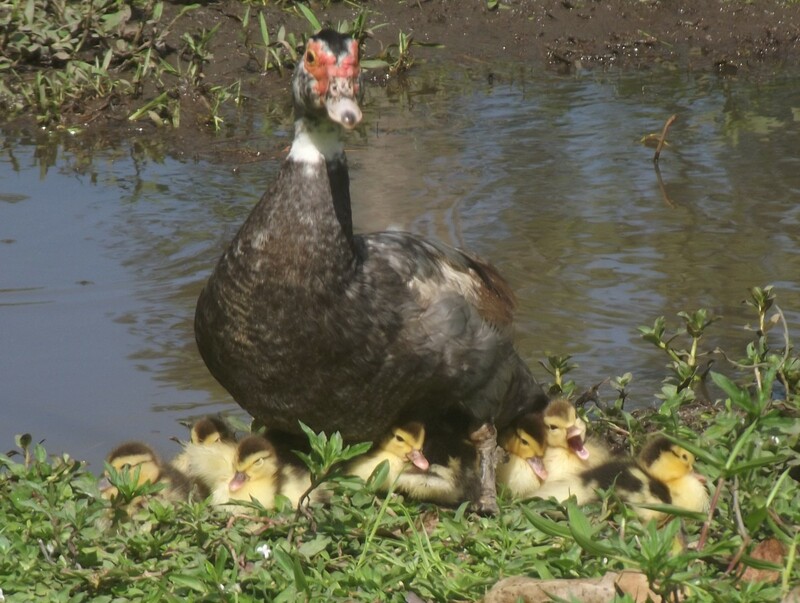 Once you are able to decipher fertile and infertile eggs, and find that your hens' eggs (or most of them) are fertile, then you can proceed with any plans of your hen(s) hatching eggs, or an adventure in incubating your own eggs and hatching chicks. 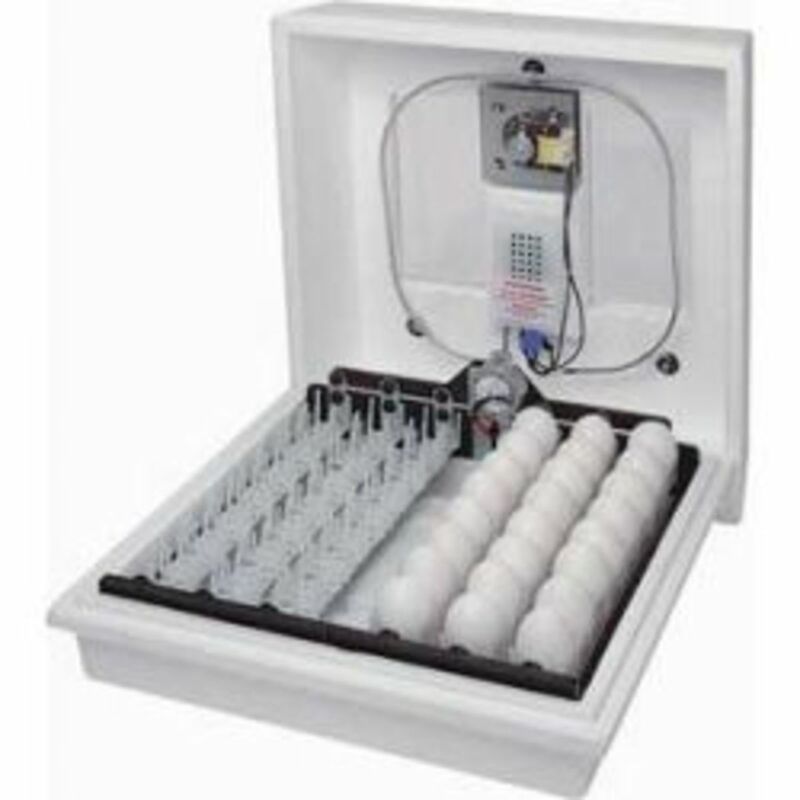 You can purchase a good egg incubator at your local feed store. Of course you can always continue eating chicken eggs instead! Please rate this artilce at eHow! Thanks! 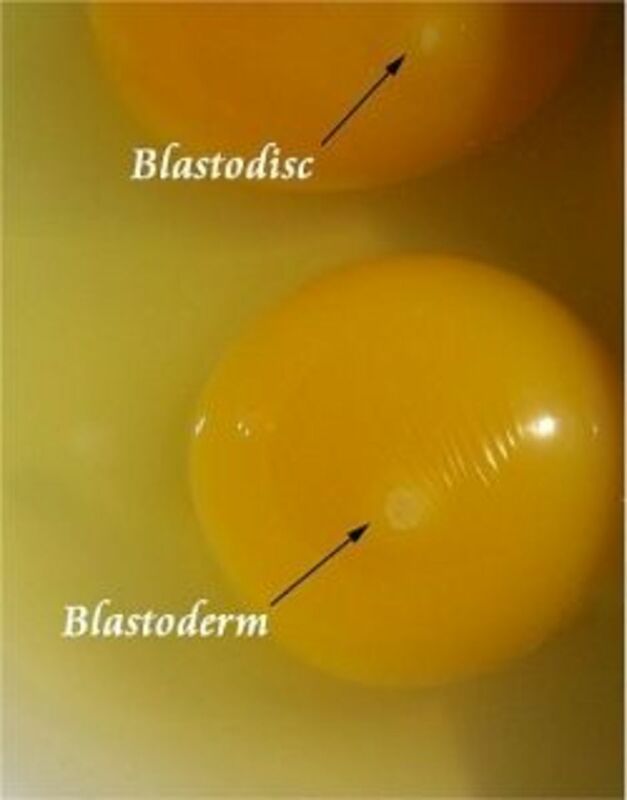 * You may want to purchase store bought eggs, (don't get 'farm fresh' as they just might accidentally be fertile), to compare with your eggs; so that you may learn to more easily decipher the blastodisc or blastoderm. * Fertile eggs are edible, and many people claim much tastier, than infertile eggs. 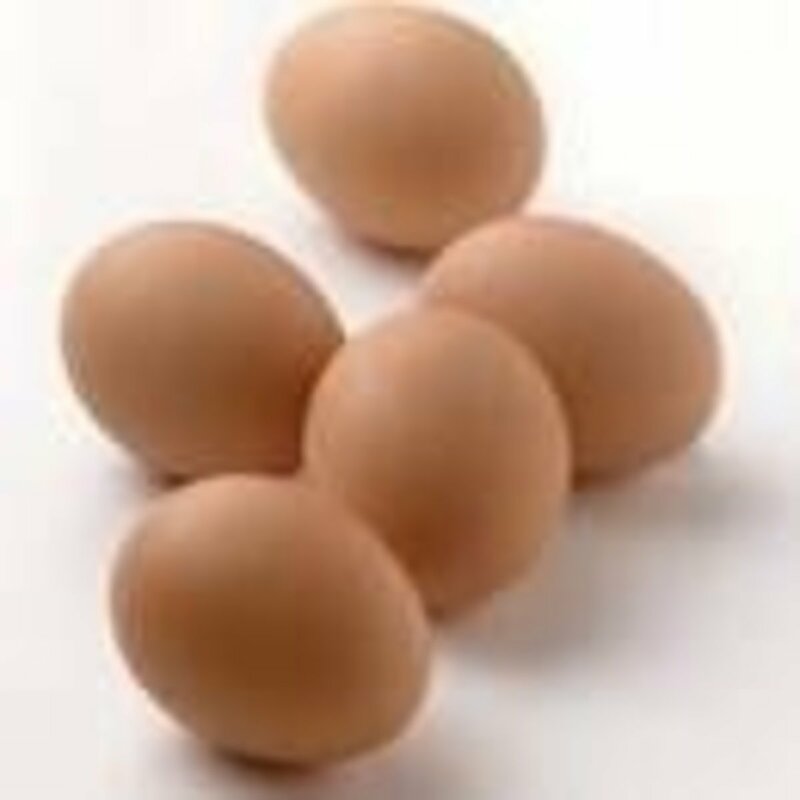 * Many people believe that a blood speck in eggs means they are fertile. This however is not the case. The blood speck is simply that, and is in the egg, because it seeped in as the egg was being formed. You will find this in both fertile and infertile eggs, and the egg is perfectly edible. * If you find yourself with fertile eggs, you can either eat them, or decide to incubate and hatch them, or, let your hens hatch and raise their own brood. If you decide to incubate them, you will want to learn to candle the eggs to watch the growth of the embryo. * The white ropey strands in an egg are called chalazae, and again do not means it's fertile. This is simply a band that is attached from the yolk to the shell, to hold the yolk in place. It does not act like a human umbilical cord, as the embryo receives all of its nutrition from the yolk. The Chalaza is more prominent the fresher the egg is. 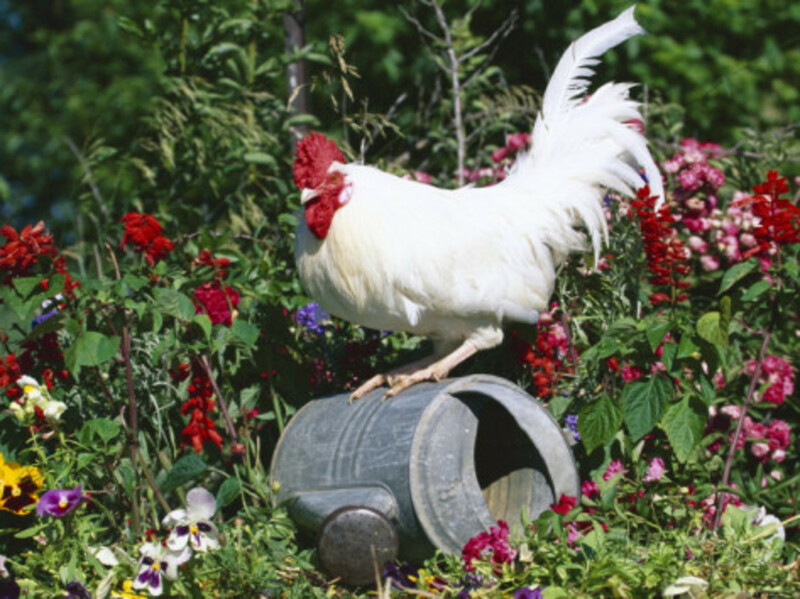 * You only need one rooster to fertilize all of your hens (he can easily fertilize a dozen to two dozen hens). 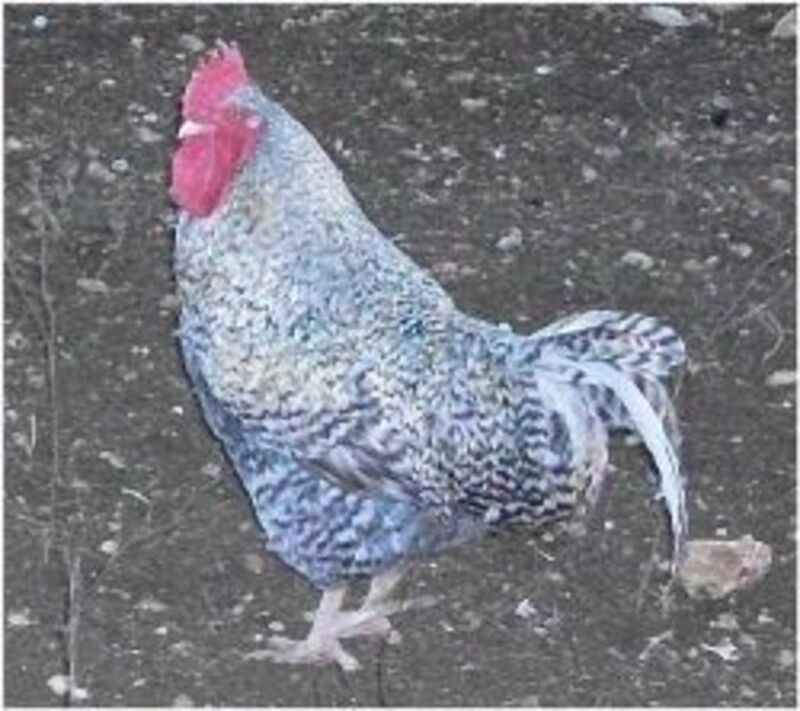 * More than one rooster results in dominance battles and cockfights. * If you find your rooster on top of one of your hens and flapping his wings, he is not hurting her; he is attempting to copulate with her in order to fertilize her eggs. Homeschool? This is a GREAT product to teach children about hatching eggs, fertility, and nature in general! Too Lazy to build a Nester! Here ya go! My husband has a weird quirk. He's not watching his cholesterol, he just can't stand yolks! He'll eat deviled eggs, but with hard boiled eggs he removes the yellow center. To him 'fried eggs' are best only if the yolk is removed before cooking! 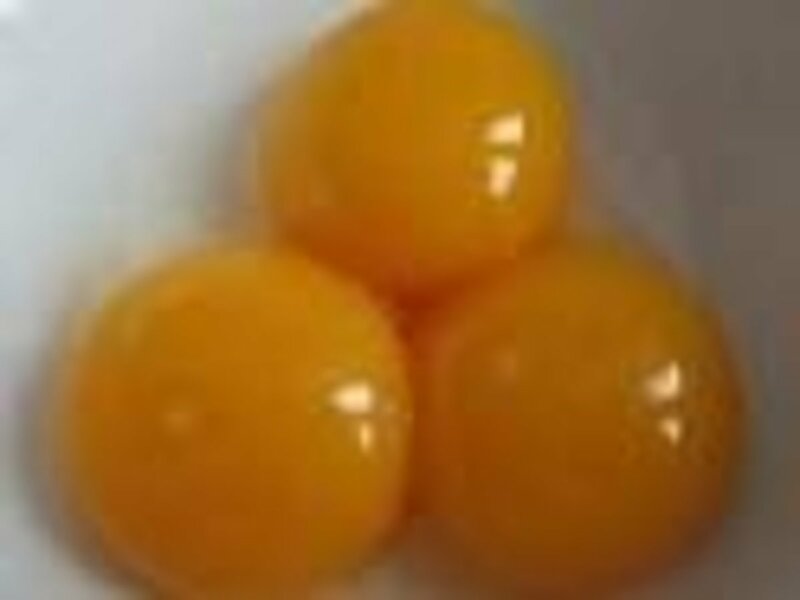 Do you eat egg yolks? No! I just don't like them! No, I can't, I'm waching my cholesterol. Sometimes. I'm watching my cholesteral, but every now and then, I sneak a fried, scrambled, deviled, etc. egg! Cool lens - once you raise your own laying hens, you can never enjoy a grocery store egg again. I don't have chickens of my own anymore, so now I have to get them from the farmer's market. I'm definitely looking forward to having chickens again! Good info. I have a poultry farm and am a breeder so I love lenses like this! The information and the detail were just perfect.Â Many thanks for this very useful info you have provided us. How fun, you are really making me miss my chickens! and their huge delicious bright orange yolked eggs!